This story-in-verse explores the beauty of the Pacific Northwest through the ecosystem of an evergreen tree. The tree's life cycle is illustrated by the variety of plants and animals it supports. Andrea Gabriel's pastel images &#8212; soft greens, mellow blues, and cozy browns &#8212; perfectly complement the gentle, informative text. 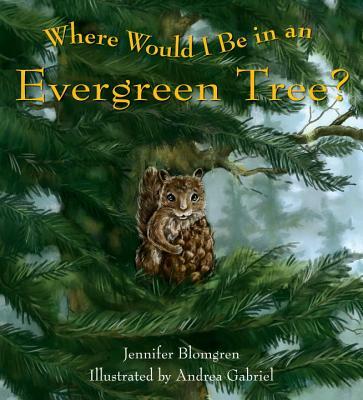 Jennifer Blomgren's sensitive use of language &#8212; "Its tender young needles sparkled with dew, / like jewels in the wind, as the baby tree grew" &#8212; make the book appealing to both children and parents in any locale. Jennifer Blomgren is a greeting card illustrator. She lives in Port Townsend, WA. Andrea Gabriel lives in Seattle.